Essay and Poetry Recitation Competition was organized on the occasion of Hindi Divas on 16th Sept 2013. 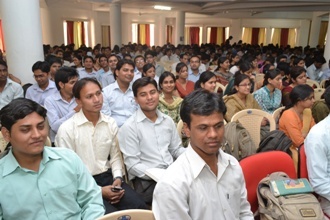 Topics for the competition was “Contribution of Hindi in Computers”. 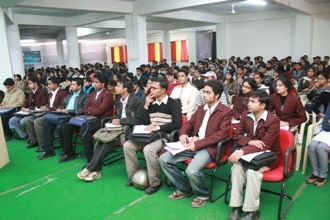 Total 100 students participated for the above topic and three students were declared winner. Poetry Recitation competition on Hindi language was organized by MCA department for MCA students on the occasion of Hindi Divas. MCA students participated enthusiastically for this occasion. T.I.T.- MCA department organized a seminar on “CLOUD COMPUTING” on 13 th Jan. 2014 at the campus. Prof. D.K.Singh , A well known information scientist from G.G.I.T.BHOPAL was the key note who explained the emerging trends , remote access and complexity of the subject in a very simple manner. T.I.T. – MCA took an initiative to organise a two days workshop opn PHP on 16 Feb. 2014 to create awareness among students . Through this workshop experts explained the importance and working of PHP and how php provides complete learning system where the students and learners can avail all the facilities.